The lesson is based on a CNN video about Hurricane Sandy. After students have watched the video they have to do two vocabulary tasks. In the first task they have to fill in the gapped sentences with the words from the video. 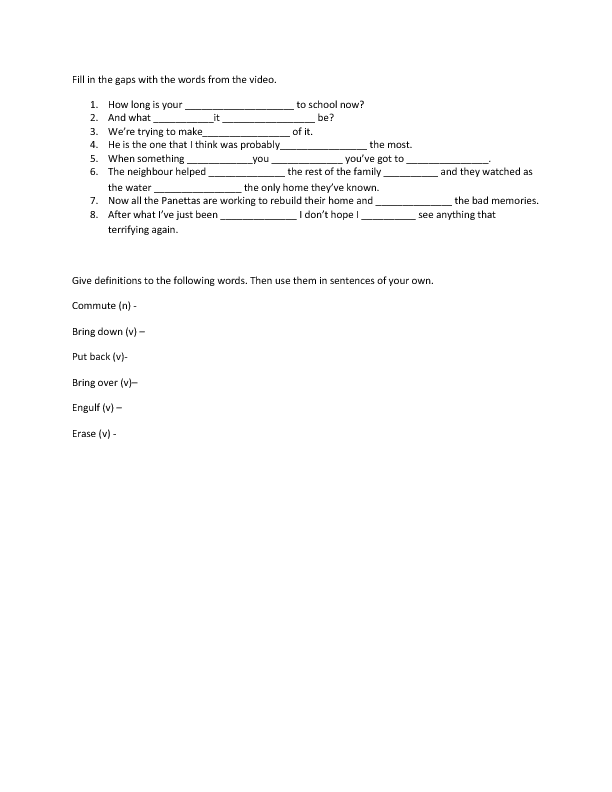 In the second task students need to give definitions to the words from the video and use those words in their own sentences.